Or: Ghosties and ghoulies and long-leggity beasties. I’m not usually a huge fan of events in MMOs. Let me qualify that: I used to be, and then somehow they got to be more of a chore than anything else. Much anticipated, much hyped within a game’s community, but then they roll around and you have to do eleventy-zillion things before zomg-time-runs-out!!11oneone! And somehow, imperceptibly, you slide from having fun at game events to feeling like you have to cover every last piece of an event with every damn alt (which for someone like me is a lot of alts) or you’re not getting your money’s worth, or your achievements’ worth, or whatever it is. 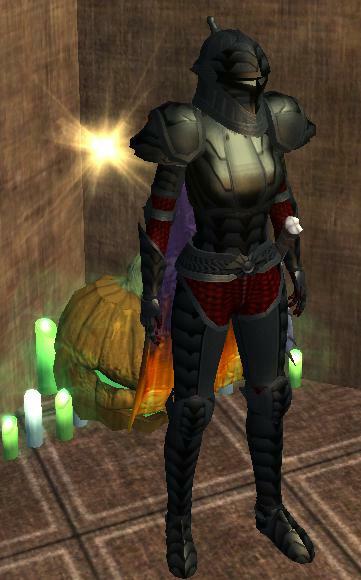 Happily, EQ2 is breaking that mould for me somewhat. For one thing, the events in EQ2 are either nice and long, or short and sweet but recurring. As an example, this year’s Hallow– wait, Nights of the Dead celebration runs from October 21st to something like November 9th; that’s almost three weeks to get your ghoul on which means that there is absolutely no hurry. Even the slackerishest slacker, like me, can manage to leisurely stroll at least ONE character through that in that kind of time-frame. As for the short-sweet-recurring ones, those would include the monthly Moonlight Enchantments event, which contains five different fairy-themed mushroom rings that you can visit with any or all of your characters, one at a time. Those only last something like 48 hours, if that, but if you don’t get there this month there’s always next month. What’s even better about both of these events is that they offer kickass fluff rewards. (There might be useful rewards as part of the Nights of the Dead thing too, but that kind of stuff doesn’t tend to stick in my mind.) The Moonlight thingies let you collect tokens that you can use to buy a vast range of faerie/nature themed housing items, from grassy squares to full-size trees to pixie plushies, not forgetting various kinds of temporary mounts like leaf-strewn magic carpets or unicorns. The Halloween event includes a set of appearance-only armor, collection shinies that fight back, various housing items and all manner of other crafted, quest-rewarded, looted and clicked goodies. Since it’s all fluff I feel no particular push to do them. I am doing them on various characters and I’m enjoying the events, but I don’t have this feeling that if I don’t run everyone through it, or run at least one person through everything, that I’ll be missing out. If there are any particular achievements linked to these events (other than the “Take part in seasonal events!” one) I’m not aware of them, which is just as well. There’s nothing quite as good for damping my enthusiasm than to have something be almost nothing but achievement-chasing — which was one of the things I really disliked about my brief return to WoW at the end of last year. That and the fact that suddenly the whole world and her dog was doing whatever event was going on at that time. 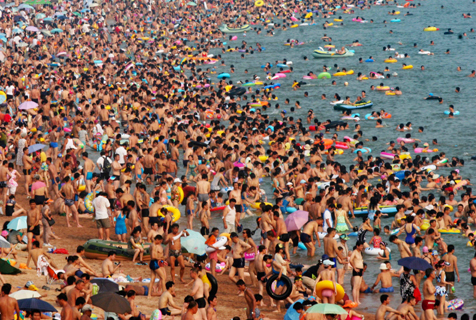 Sure, people should do them and it’s fun to see people doing events alongside you, but when it’s the equivalent of rush hour at the beach I just end up wanting to pack up my plastic shovel and go home. Not content to have had two events running concurrently, EQ2 has thrown in a few more for good measure. There’s the “find out what happened to that nice Erollisi goddess woman” event thingy, which is ooookay. The Plane of Love zone at the end might be fun, but I’ve only putzed around in it long enough to know that I was badly outclassed trying to be in there on my own; the quests that led up to that plane I found to be, frankly, extremely tedious, even if they did try to tell a story. For one thing the story was presented in massive chunks of NPC exposition, which is never the best way to present any kind of lore, and the quests themselves were of the run-back-and-forth across 8 zones variety that I’ve already railed about in the past. Pillar-to-post quest design is lazy lazy lazy, and if your story requires some kind of constant return to the quest giver then you should at least try to mix things up a bit so you’re not just doing A–>B–>A–>C–>A–>D–>A and so on. That’s just plain boring. All the same, even that event offers some fun but not must-have fluff/housing thingies, so you can be sure I’ll find a way to get through that zone someday. Aside from all that eventy goodness, there’s something going on with the teleport spires that dot the Norrathian landscape, which is a nice nostalgic shout-out to those of us involved in the first spire-rebuild event some years ago. That one’s very quiet, but it’s still there and I’ve done a few repeating quests to earn some tokens to… buy more fluff items! In any event (see whut I did thar? ), the point is I can miss these things if they don’t appeal. I don’t think games should ever, ever,EVER hand out stuff that’s in any way important at these events, so that people don’t end up thinking they have to do them. Having to do a game event is like having to go to work for the holidays when you’d rather be on a beach in Maui — it doesn’t exactly fill a player with fuzzy feelings and enthusiasm. And yeah, I know, nobody is actually holding a knife to anyone’s throat in a game but if you make a reward required enough (by other stuff, by peer pressure, whatever) then you really are making something as close to compulsory as MMOs get. So hand out fluff or hand out nothing — give out temporary rewards that make people laugh, give out decorations and appearance items and whatever else you can think of, as long as it’s more cool than important to have — that’s all fine by me. But most of all, make sure your events are FUN. Shockingly enough, that seems to be getting forgotten a lot of late. Gotta go, I want to run the Haunted Mansion one more time! Got another vampire mirror to get! I’m not a huge event guy too. I’m not huge on events either, though I will sometimes (often?) run them on an alt or 3. I suppose I actually ought to log in to EQ2 this weekend and see about running the mansion or hedge maze. I’m told they’re actually new this year, unless the mansion’s the same as before and the entrance was simply moved to LP? I don’t know. Guess I’ll see. . . .
Was trying to figure that out for you but since I missed last year’s stuff, I can’t tell. What I do know is that it’s NOT the Haunted House that’s been available in FP and Qeynos for some years. In fact, if you want to do the second-time-through quest in the Hedge Maze you’ll have to do the quests at the Mansion AND the Haunted House before you can spawn the final chesticle (which has some cool pauldrons I wore for all of 30 seconds, and a lore ring that does… nothing except sit in your bank). Sometimes seasonal/annual festivities devolve into farmfests, unfortunately. I got seriously burned out on events back in oldschool EQ. The GMs there were fairly active, and maybe once or twice a month they’d do something utterly random and fairly small-scale, like having the sandgiants from the Deserts of Ro call in their bigger brothers to help them pound down the tiny things (i.e. everything else). They’d give out customized rewards to the players that they felt contributed the most to the event. That was nifty in concept, since it wasn’t really an achievement and could be skipped without penalty, but was also rewarding to the lucky few who garnered the GM attention. The downside was that almost everyone on the server would drop what they were doing and rush to every one of those events, overcrowding the zone and causing dreadful lag… and in the sea of bodies, the actual story would get buried. When they were kept very short (so the whole server didn’t have time to join unless they were already close by), these kinds of events worked quite well and were a lot of fun. I enjoyed LotRO’s festivals, which provide some nice fluff (e.g. you can learn to dance like a hobbit, or get some decorations for your house) as well as some items of value like the Harvestmath horse (long since nerfed, but originally it was one of the best options in game, being superior to stable-purchased mounts). I ignored WoW’s festivals, which never appealed to me and always seemed terribly overcrowded and achievement-driven… much moreso in recent years. I love the EQ2 events, especially Frostfell! Nothing better than stacking up on snowballs to surprise friends when they least expect it! Not fun when it’s crowded and laggy, but it usually dies down. Glad they are running the Nights of the Dead events for a couple of weeks to give everyone time to check them out.